This weekend remembers World War I with lectures, film, and a living history encampment that demonstrates life on the Western Front. DATE/TIME: Saturday & Sunday APRIL 27 & 28, 2019 10:00 a.m. - 4:00 p.m. EXPLORING THE ARMOR: ONLY 1 WEEK LEFT TO REGISTER! DATE/TIME: Saturday MARCH 30, 2019 2:00 p.m.
HOPS & HISTORY: REGISTER BY MARCH 29th! Join museum professionals for an evening of great food and history! 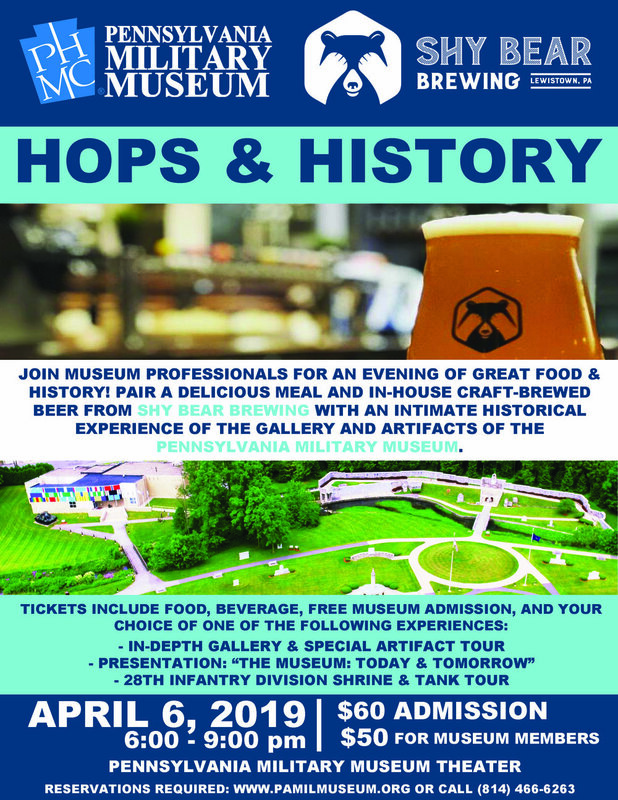 Pair a delicious meal and in-house craft-brewed beer from Shy Bear Brewing with an intimate historical experience of the gallery and artifacts from the Pennsylvania Military Museum. Admission: $60 per person; $50 for museum members. Reservations required - apply online or call us at (814) 466-6263. Please register by March 29th so we can best prepare for the event! 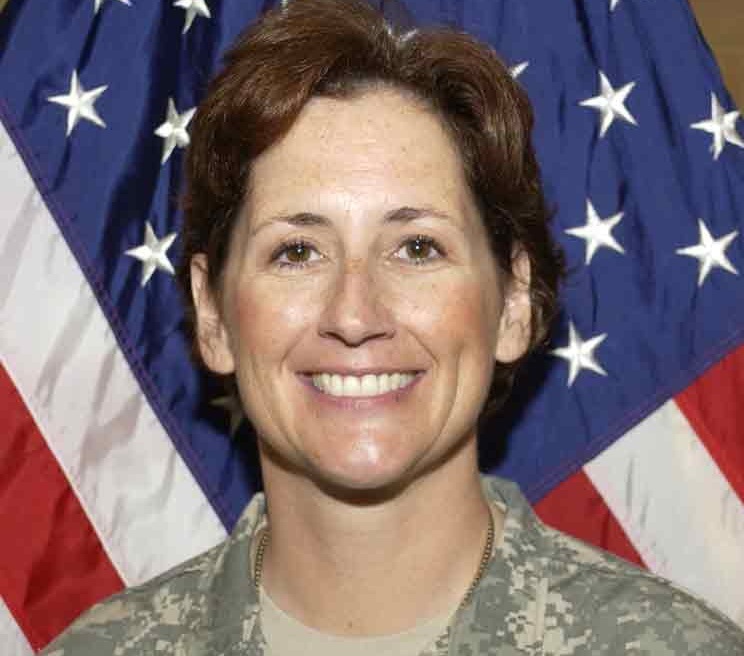 DATE/TIME: Saturday APRIL 6, 2019 6:00 - 9:00 p.m. Between September 1944 and February 1945, thirteen U.S. Army divisions fought for control of a 50 square mile area of dense forest along the German border. It was the longest single battle in American history and largest defeat of the U.S. Army in Europe. This 2007 German production tells that story with veteran’s interviews and archival footage. (104 minutes). Donation Requested. 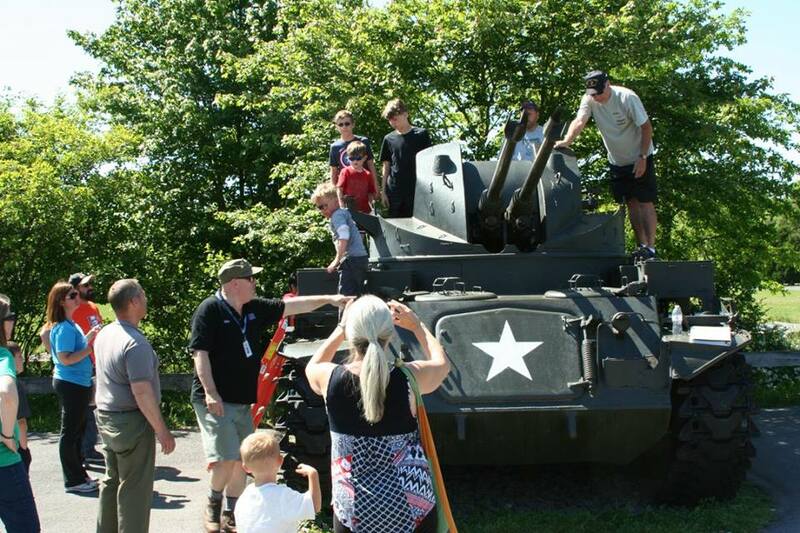 DATE/TIME: Sunday MARCH 17, 2019 1:30 p.m.
REGISTER FOR 2019’S FIRST EXPLORING THE ARMOR TOUR! Admission: $60 per person; $50 for museum members. Reservations required - apply online or call us at (814) 466-6263.